Despite this significant increase in applications, for the last five years, the subject-matter-eligibility requirement (codified as 35 U.S.C. § 101) of the U.S. patent law has been particularly vexing to applicants of computer-related inventions like bioinformatics. The requirements of 35 U.S.C. § 101 have not changed since the passage of the Patent Act of 1952. 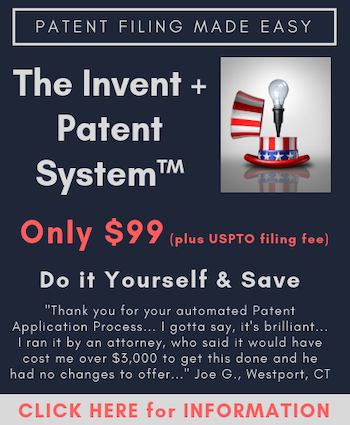 Yet, in the 67 years since its passing, and with increasing development of computer-related technologies, numerous Federal Circuit (or Court of Customs and Patent Appeals) and Supreme Court decisions have set forth new interpretations of Section 101 as it pertains to patent applications focused on computers and software. The Supreme Court’s most recent Section 101 decision, Alice Corp. v. CLS Bank (issued in 2014), held that claims related to an electronic escrow service were abstract ideas that were ineligible for patent protection. The Court found that mere implementation of an abstract idea on a computer system was insufficient to find the claims patent eligible. The Court set forth a two-part test in which it is determined whether the claims (1) are directed to an abstract idea and if so whether (2) the claims are significantly more than the abstract idea. Alice had a near-immediate impact on the prosecution trends for some computer-related art units. The largest impact was observed in business-method art units, where eligibility rejections began appearing in the vast majority of office actions and allowances became very scarce. The effect on applications from most other computer-related was initially muted, likely due to the patents at issue in Alice having been examined in business methods. Yet, as time progressed, and as the Federal Circuit held patents from other USPTO Technology Centers to be invalid in view of Alice, these trends spread to other software-related art units at the patent office. Our previous research that characterized this spread was largely confined to computer-related technology centers (e.g., Technology Centers 2100, 2400, and 2600) and the business-method art units. While these areas of the USPTO examine the vast majority of computer- and software-related applications, a single art unit at Technology Center 1600 is designated to examine an interesting and increasingly popular type of technology. Specifically, patent applications with primary focuses pertaining to bioinformatics and computational biology are to be assigned to art unit 1631. These interdisciplinary fields use computers and software to manage, analyze, and develop biological data and is becoming increasingly valuable to, for example, leverage vast amounts of data to improve or enable gene sequence, drug discovery/design, protein structure prediction etc. As noted, bioinformatics and computational biology are highly tied to software, so, potentially, examination of the applications in art unit 1631 would be affected by the recent software-focused case law on patent eligibility. However, art unit 1631 is grouped with art units focused on biology and organic chemistry innovations in technology center 1600, so potentially these cases would have a smaller impact in this art unit as compared to other software art units. the date in which the action was issued. We aggregated the data separately across business-method art units, Technology Center 1600, and art unit 163,1 and by quarter in which the action was issued. We then calculated time-series statistics to identify trends over time. Figure 1 shows the percentage of office actions issued within a given time period that included a subject matter eligibility rejection. As we have previously reported, the percentage of office actions issued by the business-method art units that included eligibility rejections increased to over 90% after Alice was issued. (See the shift in the red line relative to the dotted line). A near-identical increase in eligibility rejections was also observed in applications from bioinformatics (green line), though the eligibility prevalence remained rather stable when considering Technology Center 1600 as a whole (blue line). The post-Alice jump in eligibility rejections in the business-method art units was accompanied by a sharp decline in allowance prevalence (the percentage of actions that were allowances). (Figure 2, red line.) A similar post-Alice allowance plummeting was observed in the bioinformatics data (green line). Interestingly, since Alice, the allowance prospects have been gradually increasing in the business-method and bioinformatics art units. This increase is particularly sizable for the bioinformatics art unit, in that the allowance prospects have increased even beyond pre-Alice levels. The notable improvement in allowances of bioinformatics art units is likely due to a number of contributing factors. For one, in the years since 2014, a number of Federal Circuit decisions have improved how the USPTO applies Section 101 to claimed inventions. For example, in Berkheimer v. HP Inc., the Federal Circuit held that evaluating whether the claims are significantly more than an abstract idea is a question of fact that requires evidentiary support. This caused the USPTO to issue eligibility rejections that were clearer and supported by the evidence (or withdraw eligibility rejections that could not be supported). Another factor may correspond to an improvement in the way bioinformatics applications were presented to examiners. For example, bioinformatics applications often leverage highly technical and complex software resources to analyze data, such as machine-learning and artificial intelligence. Further, many of the problems addressed by bioinformatics applications were simply impossible before modern software and computing resources. Thus, the technical nature of bioinformatics applications distinguishes bioinformatics from business-method applications in technology and perhaps in subject matter eligibility. The advancements in bioinformatics are paving the way to efficiently identify effective new drug therapies, to better understand disease underpinnings, and to improve the potential for personalized medicine. Put a different way: the computer-based field of bioinformatics has and will continue to quickly and substantially advance medicine. Bioinformatics patents provide a mechanism to protect innovations in this field while encouraging public disclosure and collaboration. Our data indicates that Alice had a short-term effect of making it harder to patent bioinformatics innovation, which is a change that may have resulted in stunting R&D in this area and stunting progress. However, the allowance prevalence soon after began to gradually recover to levels now exceeding pre-Alice levels. We hope this trend continues to improve to promote and protect new bioinformatics innovations. IPWatchdog will be presenting a free webinar sponsored by LexisNexis PatentAdvisor® on this topic. Join Gene Quinn, patent attorney and the President & CEO of IPWatchdog, Inc., on Thursday, March 7, 2019, at 12pm Eastern for a free webinar discussion of bioinformatics patents, patentability and drafting practices. Joining Gene will be Dr. Kate Gaudry, the author of this article, and John White, patent expert, lecturer and partner with Berenato & White. Registration will soon be open. Stay tuned! Samuel Hayim is an Associate for Kilpatrick Townsend at their Washington DC office. Mr. Hayim’s work focuses on patent counseling and prosecution in the software and electronic arts, in particular in artificial intelligence and machine learning, bioinformatics, software development frameworks, control systems, and telecommunications. Mr. Hayim frequently performs and uses empirical analysis of prosecution trends and his experience as a former patent examiner to improve client counseling and prosecution strategies. Mr. Hayim is admitted to the bar in the District of Columbia and is a registered patent practitioner at the United States Patent and Trademark Office. Extremely unfortunate timing for this article, coming as it is concomitant with the CAFC Athena v. Mayo case. Where are my Kavanaugh Scissors…? Technology trends are now inseparably interwoven with computer implementations. Not only in bioinformatics, but in computational biology, control systems, decision support, cryptography, telecommunication, signal processing, image processing and the list goes on and on. If you can articulate it, (mostly in mathematics), you can realize it in a computer implementation. The trick is to convert it from an internal computer signal to an external expression. 3D printers are an example of that. Mathematics used to be a model of physical reality. It turns out that via a computer implementation, the mathematical expressions are increasingly part of the physical reality. I often use digital filters and modulators as examples of these trends. But by now that is almost ancient. Who knows, under Alice those devices may be considered conventional, routine and well-understood. It seems strange that any time a new and valuable technology is being developed, like bioinformatics or blockchain to name two recent posts on IPWatchDog, there is a need to explain that these new technologies are really valuable and should be patent eligible. One reason is of course that patent applications in these fields experience a high rate of Alice rejections. That by itself is a strong indication that Alice is not of this time. We are using Victorian conventions on evaluating cutting edge technologies. There still is this idea that a computer is something like a player piano, a device that merely receives instructions for a new tune to play. The National Academies of Sciences, Engineering and Medicine helped create the AIA. It should take action, together with leading Engineering Associations, to assist Congress in getting up to date what Engineering, Technology and Sciences are about today and stop this embarrassment of misinterpreting what a computer is and what it does.